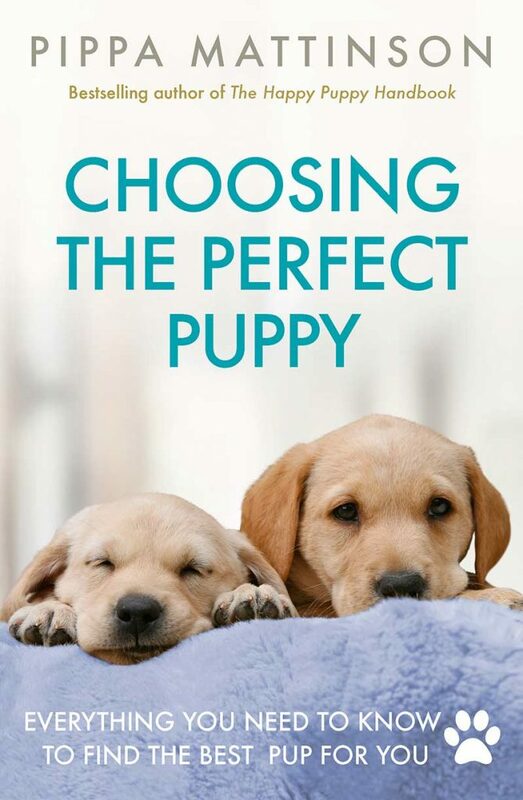 Including suggestions for male puppies, female puppies, cute names, funny names, and more! 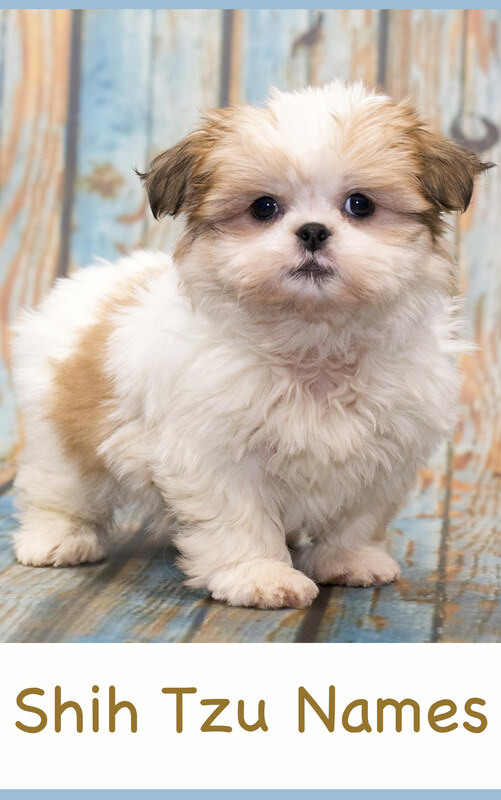 Are you about to welcome a Shih Tzu puppy into your home, but having trouble with deciding on a name for your new furry friend? For some, a name for a new pet might come like an instant flash of inspiration. For everyone else, we’ll share our ideas with you! Maybe you’ll get that instant inspiration, that “click” moment where you know one of these names must be the one for your Shih Tzu. Or maybe some of these names will serve as a jumping-off point to think of your own. Either way, we hope these ideas will help you to de-stress this important process. 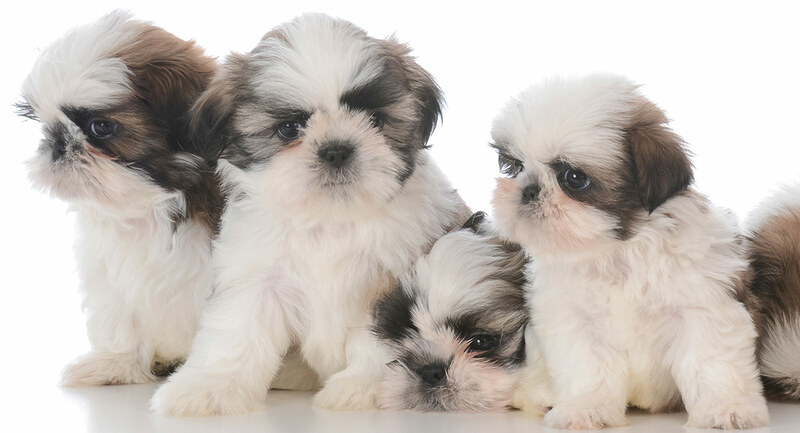 Before diving into Shih Tzu puppy names, there are some considerations you may want to note about the naming process. One popular way of naming a new pet is to go off of personality or appearance. While every dog is unique, there are some distinct characteristics you can expect to see in a Shih Tzu. First, Shih Tzu are known for being playful and affectionate. 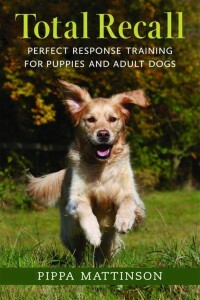 Furthermore, they are largely home-bound pups, preferring to lounge indoors than run full-speed through a park. Remember before you look for your puppy, that their characteristic appearance can cause problems with breathing or walking. Make sure you know all about these potential issues before committing to bringing your new friend home. All of these traits can be seen as a reflection of their ancestors’ lives as “palace pets” hundreds of years ago in imperial China! Shih Tzu are also very distinctive in their appearance. These dogs, small enough to be put in the “toy breed” category, have beautiful, distinctive, flowing coats, and a hard-to-place but adorable facial expression. 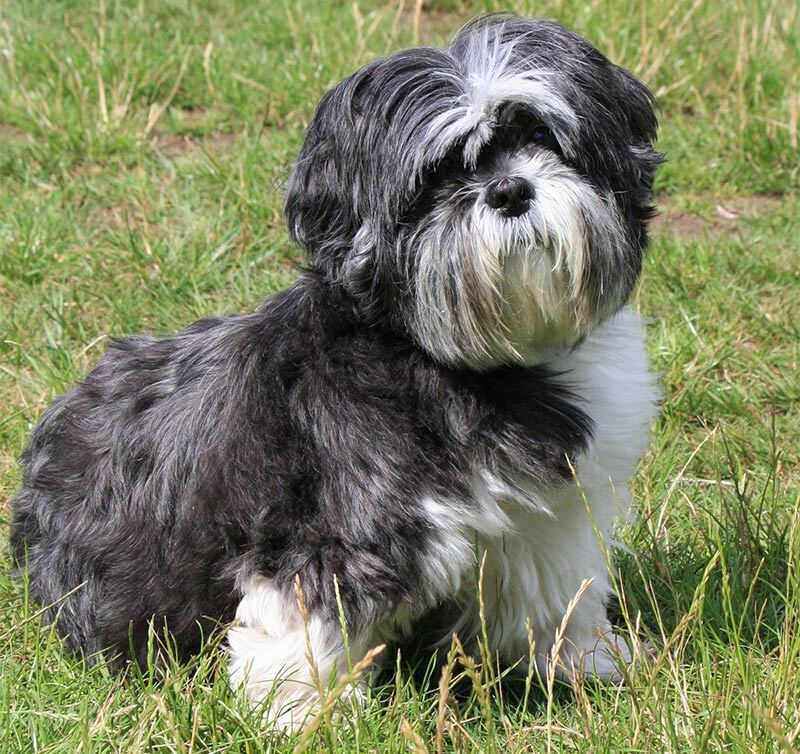 Frequently Shih Tzu have coats of black, white, or a mix of both. That being said, there are many other possibilities, including blue, gold, red, and silver, just to name a few. Now that you know more about the Shih Tzu, let’s dive into some suggestions, starting with Shih Tzu names for male puppies. In this section, as well as the next on female name ideas, we will focus on “standard” human names for your Shih Tzu puppy. This presents a unique challenge for a dog such as the Shih Tzu—their appearance is so distinctive, and carries its history as canine royalty wherever it goes. We need to address the impulse to use a “dignified,” even formal name while recognizing the practical realities when naming a pet. 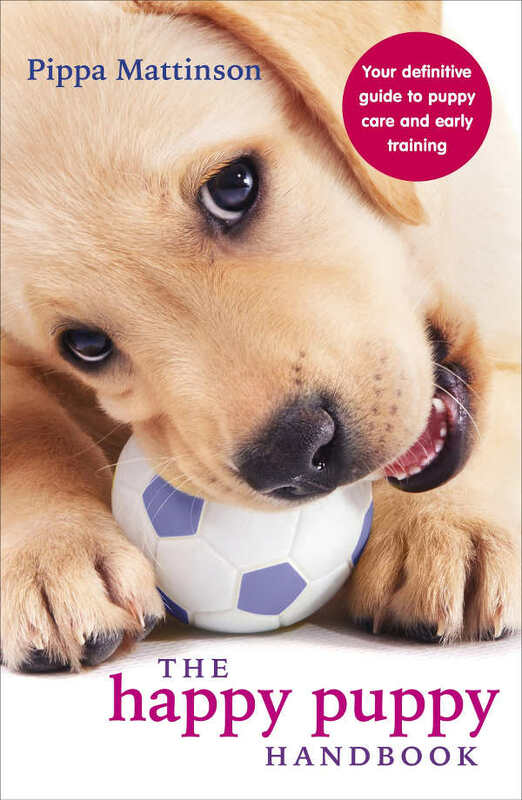 When training your puppy, or just calling for your buddy from one side of the room to another, chances are you won’t want to be bogged down by a four-syllable name, just for the sake of appearances. For these reasons, this and the following section will try to choose longer names carefully, many of which can be easily shortened to nicknames, along with some shorter, and still dignified names. Similar to our previous section, we’ve picked out some stately, even queen-like names for a female Shih Tzu. While some are sort and sweet, others are several syllables, but can also be shortened to nicknames. It’s up to you which way to go. Here are some ideas to help you get started! Shih Tzu dogs seem to be made for cute names. Their small size, flowing coat, and big eyes arguably make them one of the more precious, conventionally adorable dog breeds. 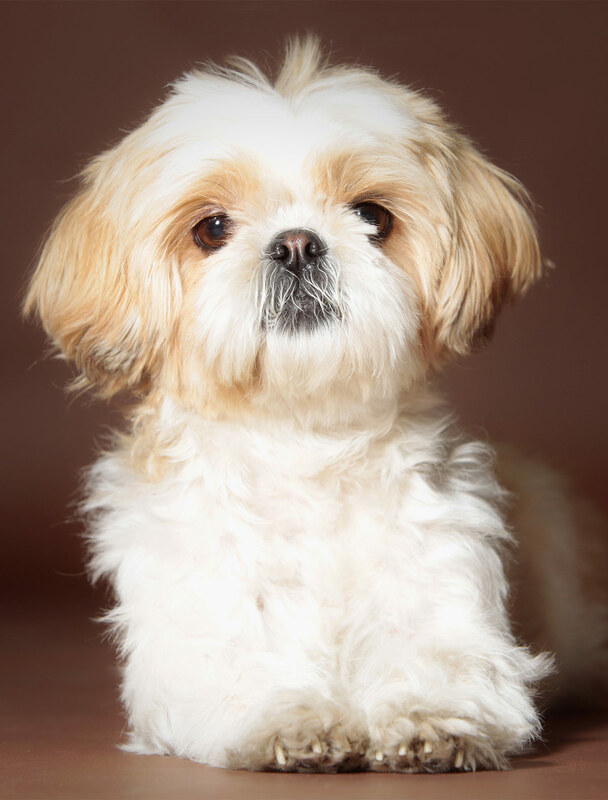 In addition, Shih Tzu typically have personalities on the playful and affectionate side. 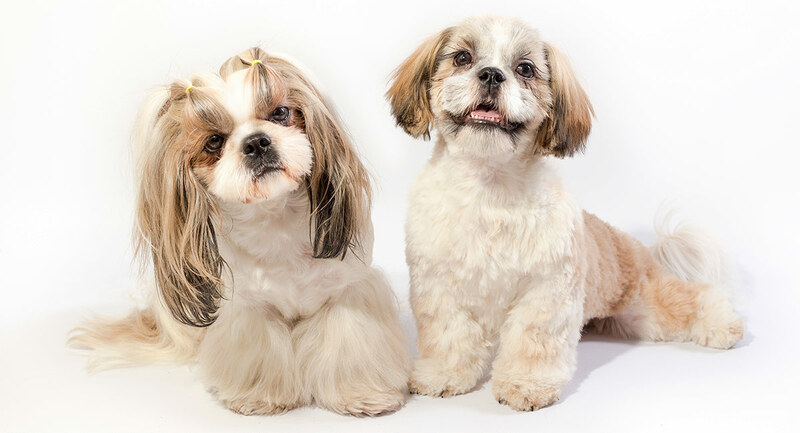 We’ve used these traits to offer some suggestions for cute Shih Tzu names. This actually goes back to China hundreds of years ago, where Shih Tzu were kept by rulers within imperial courts. Shih Tzu, sharing the name of “lion dogs” with several similar breeds, were so valued that they literally marched alongside humans in official processions. Given this rich history, it would be wrong for us not to include some Chinese dog names for Shih Tzu. Most of these names will stem from terms for royalty, beauty, power, and affection. Of course, going this route means taking special note of Chinese pronunciation, which in general can take a bit of practice. Still, we think these potential names would be well worth the extra linguistics homework! Appearance is often a key inspiration in naming a pet. 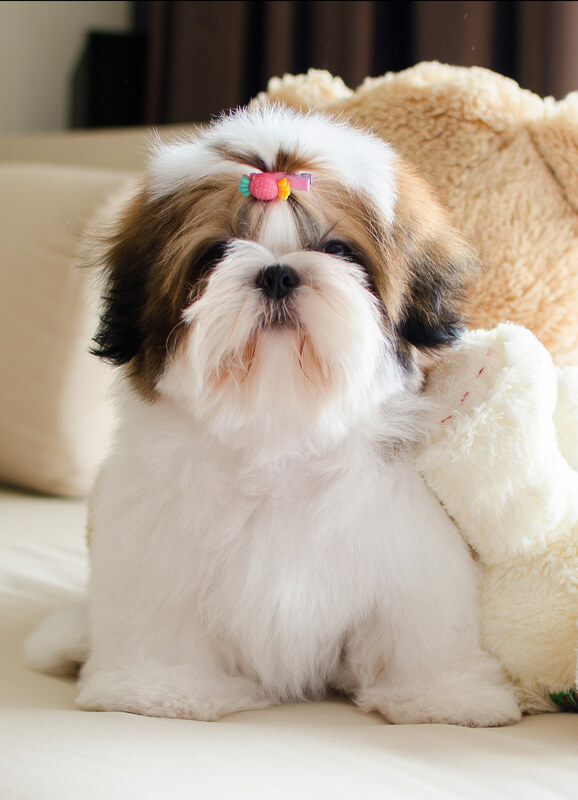 Shih Tzu come in many colors, with either a one-color coat or various combinations of different colors. Some of the more commonly seen coats are all black, white, or a combination of the two. Here are a few ideas for Shih Tzu names for black and white pups. Some may be more fitting than others, depending on the ratio of black to white coloring. This last term referred to their small size, as they traveled easily within the sleeves of the well-dressed elite. Any one of these terms could make for a vivid mental picture in our heads for the Shih Tzu. The Shih Tzu breed just doesn’t quit with its distinctive identity (or in this case, identities)! While these three terms were used to describe Shih Tzu in general, we can use these names as a jumping-off point for further name suggestions. The main ideas we’ll use here will be based on the Shih Tzu association with the fierceness of a lion, the beauty and delicacy of a flower, and their historical precedence for providing a source of revered, valuable companionship. The Shih Tzu history does not end there, of course. These “toy breed” dogs are very popular today, shown in part by the number of Western celebrities that have opted for their own palace dogs. Most of the Shih Tzu names here are unconventional, and even if you don’t have a particular affinity toward the celebrities mentioned here, you may find yourself attracted to the names they’ve chosen. Sometimes one of the most enjoyable ways to name a puppy can be in an ironical sense, dramatically playing on some of the more over-the-top traits of the puppy in question. And, no offence to the Shih Tzu, but their appearance especially lends itself to this train of thought, along with their royal heritage. And, of course, there’s their playful, mischievous nature and overall relaxed, home-body lifestyle. Here are some funny Shih Tzu names, some obvious, some not so obvious. Finding the right name for a new pet can seem intimidating, and understandably so. It is an important decision for both you and your pet, since there are no take-backs once your pet has become accustomed to their new title. With Shih Tzu names in particular, there are many different directions to go because it is such a unique, distinctive breed. Having many options can quickly turn into having too many options. In this article, we’ve done our best to provide a break-down for some basic naming categories, in the hopes of narrowing down what you’re looking for in a name, or even the exact name you want to use. If you’re still drawing a blank for naming your Shih Tzu, you should consider looking to your favorite movies, TV shows, books, video games, and the like, for further inspiration. We hope this article has provided you with several good ideas, or even the one perfect idea for naming your Shih Tzu. If you are planning on bringing home a Shih Tzu puppy, make sure you check out our complete guide to the breed here. And that you know what the right food is going to be for your new friend too! Rice, Dan. Small Dog Breeds. Hauppauge, NY: Barron’s Educational Series, 2002. Vanderlip, Sharon Lynn. 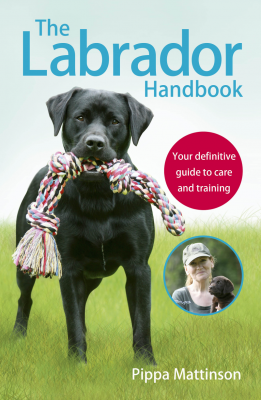 The Shih Tzu Handbook. Hauppauge, NY: Barron’s Educational Series, 2004. “15 Celebrities Who Own Shih Tzu’s.” Shih Tzu Daily, . “Famous Shih Tzu Dogs-Celebrities Who Own A Shih Tzu.” All Shih Tzu, . I had a shih Tzu (Boy) for 16 years…My companion and best friend. We named him Peluche, Spanish for stuffed animal…Miss him terribly. My dog Daphne is ADORABLE she is only w but she has the cutest facial expressions and she is tan and white and has the most adorable mask or hair on her eyes SHE IS THE BEST!! My little Shih Tzu is a girl. I’ve had her since she was 7 weeks and is now just over a year. I wanted a special name for her. I came up with Maisie (Scottish for Margaret) meaning pearl “child of light.” She has a beautiful white coat with tan markings. We are new to the breed , and fell in love on sight. We named her Bailey. She is adorable just like her name. My husband has a momma Shih Tzu names Precious and I have her daughter named Phoebe. So far I’ve had a Chaplin, Presley, Brando and now a Harlowe. 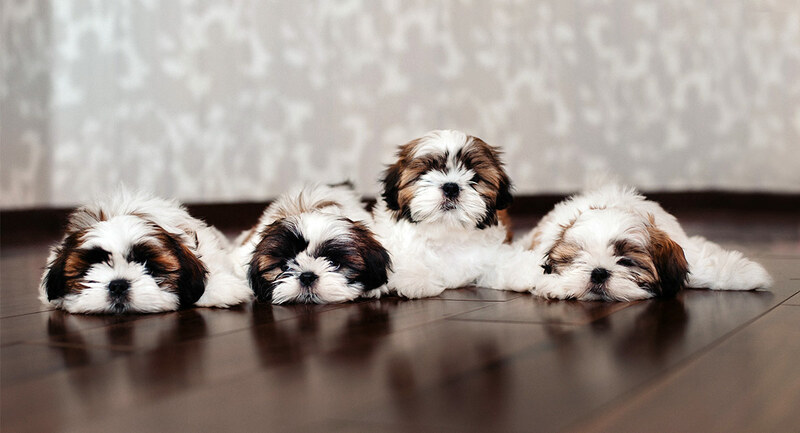 All sweet little Shih Tzus! Love this breed. Psyche and Luna were my twin blonde Shih Tzu girls and Zeus, Pax, Ajax and Hermes were the boys. I later had a 4.5 pounds girl named Zelda Fitzgerald, I now have two Teddy Bears named Finnegan and Phoebe. How about Chihuazoo or Sausage those are some good names? My ShiTzu name is Zeus, My husband’s ShiTzu name is Thor. These dogs are incredible and are named after imperial God’s.. God backwards in English is Dog. I was thinking of Zeus ..